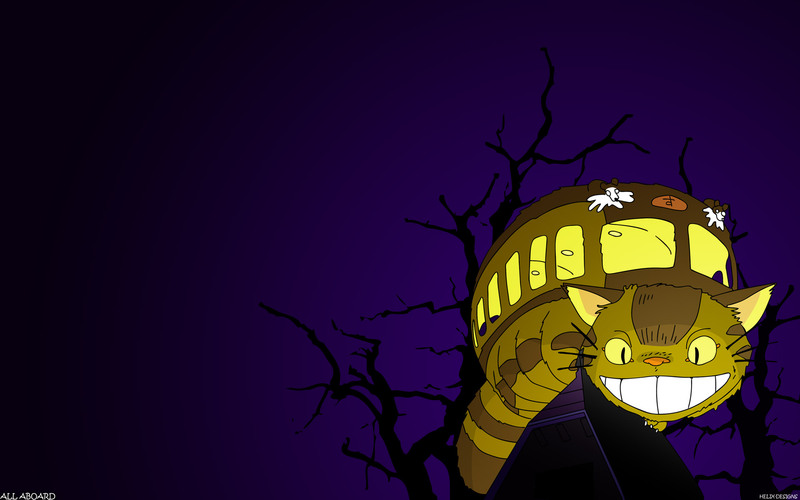 My Neighbor Totoro Wallpaper: All Aboard! Minitokyo »	My Neighbor Totoro Wallpapers » My Neighbor Totoro Wallpaper: All Aboard! Another couple hours, not to detailed, made for fun, wallpaper. Nothing too fancy, just basically a straight up vector, a little shading, a little backdrop of trees. Nothing too special, but catbus is the star and who doesn't like catbus?! yaaa, the catbus! i love it! ?